Organization Name: Saint Michael’s and Zion Church. 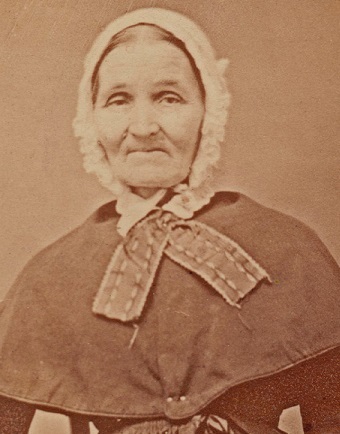 [S1048] Familysearch.org, New York Probate Files 1829-1921, unknown repository, unknown repository address, "New York, Probate Records, 1629-1971," images, FamilySearch (https://familysearch.org/pal:/MM9.3.1/… : accessed 05 Jan 2014), Cayuga > Wills 1855-1860 vol L-N > image 648 of 803. Source Citation: Year: 1860; Census Place: Throop, Cayuga, New York; Roll: M653_729; Page: 61; Image: 575; Family History Library Film: 803729. 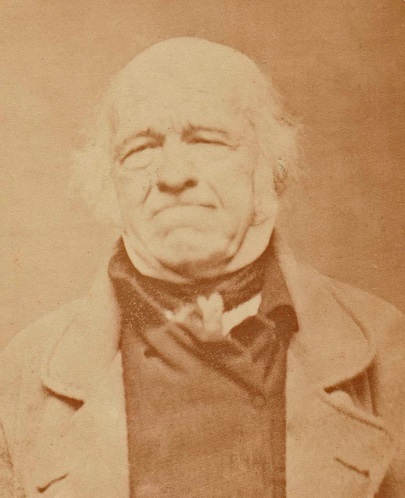 "New York, State Census, 1855," index and images, FamilySearch (https://familysearch.org/pal:/MM9.1.1/K6S6-T5B : accessed 05 Jan 2014), Phillip Fates, 1855. Ella Celeste Wheeler was born on 28 September 1876 at New Jersey, USA.1 She lived in 1880 at Paterson, Passaic, New Jersey, USA; Age: 3Marital Status: Single; Relation to Head of House: Daughter.1 She died on 6 January 1933 at Paterson, Passaic, New Jersey, USA, at age 56. Stephen Miles Wheeler was born on 1 May 1887 at New Jersey, USA.1 He was born in May 1888 at New Jersey, USA.2 He lived in 1900 at Paterson Ward 2, Passaic, New Jersey, USA; Age: 12Marital Status: Single; Relation to Head of House: Son.2 He lived in 1910 at Paterson Ward 3, Passaic, New Jersey, USA.1 He died on 12 January 1981 at age 93. Her married name was Lewis. Mabel Elena Wheeler was baptized at New Jersey, USA.1 Her married name was Garner. Mabel Elena Wheeler was also known as Matte Wheeler.5 Her married name was Bolger. She was born on 5 December 1878 at Preakness, Passaic, New Jersey, USA.1,2,6,3,4 She was born in December 1879 at Preakness, Passaic, New Jersey, USA.5 She lived in 1880 at Paterson, Passaic, New Jersey, USA; Age: 1Marital Status: Single; Relation to Head of House: Daughter.4 She was born circa 1881 at Preakness, Passaic, New Jersey, USA.2 She lived in 1900 at Paterson Ward 2, Passaic, New Jersey, USA; Age: 20Marital Status: Single; Relation to Head of House: Daughter.5 She married Daniel John Bolger on 31 December 1902. Mabel Elena Wheeler lived in 1910 at Paterson Ward 3, Passaic, New Jersey, USA.6 She married William Garner between 1911 and 1918. Mabel Elena Wheeler married George Lewis after 1922. Mabel Elena Wheeler lived in 1930 at Totowa, Passaic, New Jersey, USA; Age in 1930: 49Marital Status: Married; Relation to Head of House: Wife.2 She lived in 1935 at Patterson, Passaic, New Jersey, USA.3 She lived on 1 April 1940 at Montezuma, Cayuga, New York, USA; Age: 61Marital Status: Widowed; Relation to Head of House: Head.3 She died on 30 September 1966 at Auburn, Cayuga, New York, USA, at age 87. [S61] 1930 United States Federal Census, online , Year: 1930; Census Place: Totowa, Passaic, New Jersey; Roll: ; Page: ; Enumeration District: ; Image: . Roy L. Wheeler was born on 11 February 1896 at Paterson, Passaic, New Jersey, USA. He died on 16 January 1897 at Paterson, Passaic, New Jersey, USA. Charles H. Wheeler died on 4 October 1872. He was born on 4 October 1872 at New Jersey, USA. George Henry Wheeler was born on 25 May 1874 at New Jersey, USA.1 He lived in 1880 at Paterson, Passaic, New Jersey, USA; Age: 6Marital Status: Single; Relation to Head of House: Son.1 He died on 24 October 1948 at Paterson, Passaic, New Jersey, USA, at age 74. Anne Adele Wheeler was born on 12 April 1885 at Preakness, Passaic, New Jersey, USA.1 She lived in 1900 at Paterson Ward 2, Passaic, New Jersey, USA; Age: 15Marital Status: Single; Relation to Head of House: Daughter.1 She died on 13 June 1963 at Sherill, Oneida, New York, USA, at age 78. Warren E. Wheeler was born on 3 April 1892 at New Jersey, USA.1,2 He lived in 1900 at Paterson Ward 2, Passaic, New Jersey, USA; Age: 8Marital Status: Single; Relation to Head of House: Son.2 He lived in 1910 at Paterson Ward 3, Passaic, New Jersey, USA.1 He died on 1 March 1972 at age 79. Lulu Abigail Wheeler was born on 9 February 1882 at New Jersey, USA.1 She lived in 1900 at Paterson Ward 2, Passaic, New Jersey, USA; Age: 18Marital Status: Single; Relation to Head of House: Daughter.1 She died on 17 October 1968 at Washington DC, USA, at age 86. Edward F. Bolger was born on 17 May 1906. He died on 14 July 1908 at age 2. [S61] 1930 United States Federal Census, online , Year: 1930; Census Place: Totowa, Passaic, New Jersey; Roll: 1382; Page: 2B; Enumeration District: 177; Image: 250.0; FHL microfilm: 2341117. [S62] Ancestry.com, Social Security Death Index (n.p. : Online publication - Provo, UT, USA: Ancestry.com Operations Inc, 2011.Original data - Social Security Administration. Social Security Death Index, Master File. Social Security Administration.Original data: Social Security Administration. Social Security D, unknown publish date), Number: 151-05-5079; Issue State: New Jersey; Issue Date: Before 1951. [S69] 1940 United States Federal Census, online , Year: 1940; Census Place: Fair Lawn, Bergen, New Jersey; Roll: T627_2307; Page: 1A; Enumeration District: 2-90. Warren Edgar Garner was born on 24 April 1921 at Paterson, Passaic, New Jersey, USA.1,2 He lived in 1930 at Totowa, Passaic, New Jersey, USA; Age in 1930: 9Marital Status: Single; Relation to Head of House: Stepson.1 He lived in 1935 at Patterson, Passaic, New Jersey, USA.2 He lived on 1 April 1940 at Montezuma, Cayuga, New York, USA; Age: 18Marital Status: Single; Relation to Head of House: Son.2 He married Dorothy Frances Thurston, daughter of Hiram Thurston Jr. and Catherine Janette Van Vleck, on 24 October 1942 at Montezuma, Cayuga, New York, USA.3 Warren Edgar Garner married Mary Lou Pullen. Warren Edgar Garner died on 16 January 2014 at Boca Raton, Palm Beach, Florida, USA, at age 92. Dorothy Frances Thurston Hiram Thurston Catherin VanVleck. Daniel John Bolger was born in January 1874 at New York, USA. He married Mabel Elena Wheeler, daughter of Stephen Vose Wheeler and Annie E. Young, on 31 December 1902. Daniel John Bolger died on 20 April 1909 at Paterson, Passaic, New Jersey, USA, at age 35. William Garner married Mabel Elena Wheeler, daughter of Stephen Vose Wheeler and Annie E. Young, between 1911 and 1918. [S62] Ancestry.com, Social Security Death Index (n.p. : Online publication - Provo, UT, USA: Ancestry.com Operations Inc, 2011.Original data - Social Security Administration. Social Security Death Index, Master File. Social Security Administration.Original data: Social Security Administration. Social Security D, unknown publish date), Number: ; Issue State: New York; Issue Date: Before 1951. [S65] 1920 United States Federal Census, online , Year: 1920; Census Place: Philadelphia Ward 39, Philadelphia, Pennsylvania; Roll: T625_1639; Page: 41B; Enumeration District: 1386; Image: 751. [S69] 1940 United States Federal Census, online , Year: 1940; Census Place: Oceanport, Monmouth, New Jersey; Roll: T627_2368; Page: 4A; Enumeration District: 13-142. [S61] 1930 United States Federal Census, online , Year: 1930; Census Place: Buffalo, Erie, New York; Roll: 1434; Page: 25A; Enumeration District: 342; Image: 325.0; FHL microfilm: 2341169. [S11] 1910 United States Federal Census, online , Year: 1910; Census Place: Rochester Ward 12, Monroe, New York; Roll: T624_992; Page: 17A; Enumeration District: 0123; FHL microfilm: 1375005. Her married name was Laraway. Genevieve DeSeyn was born on 25 June 1896 at Palmyra, Wayne, New York, USA. She married Frederick Bainbridge Laraway, son of Franklin Pierce Laraway and Annie Parker, on 28 July 1914 at Palmyra, Wayne, New York, USA. Genevieve DeSeyn lived in 1920 at Philadelphia Ward 39, Philadelphia, Pennsylvania, USA; Age: 23Marital Status: Married; Relation to Head of House: Wife.2 She lived in 1930 at Montezuma, Cayuga, New York, USA; Age in 1930: 33Marital Status: Married; Relation to Head of House: Wife.1 She lived in 1935 at Montezuma, Cayuga, New York, USA.3 She lived on 1 April 1940 at Waterford, Saratoga, New York, USA; Age: 43Marital Status: Married; Relation to Head of House: Wife.3 She died on 21 January 1981 at Albany, Albany, New York, USA, at age 84. Frederick Bainbridge Laraway was born on 28 July 1890 at Montezuma, Cayuga, New York, USA.1,2,3,4,5,6,7 He lived in 1892 at Montezuma, Cayuga, New York, USA; Age: 2.7 He lived in 1900 at Montezuma, Cayuga, New York, USA; Age: 9Marital Status: Single; Relation to Head of House: Son.6 He lived in 1910 at Montezuma, Cayuga, New York, USA; Age in 1910: 19Marital Status: Single; Relation to Head of House: Son.1 He married Genevieve DeSeyn on 28 July 1914 at Palmyra, Wayne, New York, USA. Frederick Bainbridge Laraway lived in 1920 at Philadelphia Ward 39, Philadelphia, Pennsylvania, USA; Age: 29Marital Status: Married; Relation to Head of House: Head.4 He lived in 1930 at Montezuma, Cayuga, New York, USA; Age in 1930: 39Marital Status: Married; Relation to Head of House: Head.3 He lived in 1935 at Montezuma, Cayuga, New York, USA.5 He lived on 1 April 1940 at Waterford, Saratoga, New York, USA; Age: 50Marital Status: Married; Relation to Head of House: Head.5 He died on 23 November 1957 at Montezuma, Cayuga, New York, USA, at age 67. Notes: Oct 1950: Name listed as ESTHER GENEVIEVE SMITH; 14 Jan 1975: Name listed as ESTHER G SMITH.